What’s more, 70% of these Irish Internet users go online every day. Their top reason for going online is to look up details about goods and services. They also love social networks, with 71% of adults favoring Facebook and Instagram. All that shows that your business needs a site to stay in touch with Irish consumers. And for your website to be up and running 99.99% of the time, you need an Irish hosting provider. But not any hosting company will do. There are several things you need to be on the lookout for, and we’ll tell you what exactly they are, so keep reading! More than half of mobile site visitors exit page that takes more than three seconds to load. So, if your web pages load slower than this, you’re missing out on half of the potential customers! Your web host’s data center location has a lot to do with this. The farther it is from your clients, the longer it takes for pages to load. If the data center is not in Ireland, then you can expect to see a serious drop in your site visitors. That’s why your Irish business’ website should stick to a host with a data center located in Ireland. In fact, you should do this even if you’re outside of Ireland, but are targeting the Irish market. The closer the data center is to your customers, the faster your website performance will be. That’s because of the shorter distance the data transfer has to go through. The less distance the data needs to travel, the less time it needs to appear on an Internet user’s browser. This also means your site visitors save a lot of time finding what they need on your website. That can mean higher chances of closing sales, which means greater profits! Also, faster page loading times translate to happy customers. Satisfied clients are more likely to come back to your business for more purchases. Before choosing a new host or switching hosting companies, be sure it indeed has a data center in Ireland. It’s easy to find hosting services that cater to Irish site owners. But, it’s not a guarantee that their data centers are in Ireland. You can verify this by, well, by simply heading over to a host’s actual, physical location! Trustworthy web hosts publish their location, so you’ll find them — and their data centers — right away. 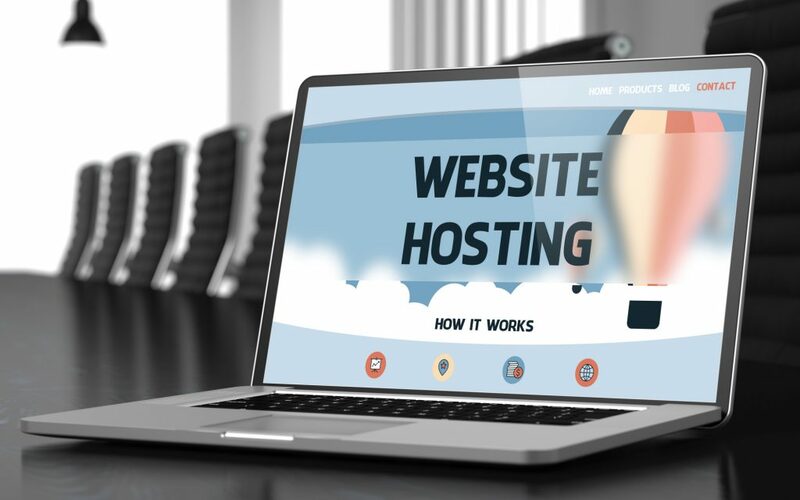 The term “uptime” used in the hosting industry refers to the period a website is up and running online. It’s often measured in percentage form of total online time per year (365 days). A website that boasts of 100% uptime means that it’s online 24/7/365. It’s always online, no matter what, thanks to the high-performance servers of its web host. But there isn’t such a thing as a 100% uptime, because there will always be a point that your site will be down. This can happen when you need to update some pages of your website or the entire site. In other cases, power outages, DNS issues, and hardware failures are to blame for downtime. Reputable web hosts understand these risks, so they often guarantee a 99.99% uptime. At that rate, your site will still be online for 364.9635 days a year. So, when choosing a web host in Ireland, check their uptime guarantee. At the very least, it should be 99.99%, as this represents the lowest risk of experiencing downtimes. But why exactly is uptime essential to your website? First, because it’s the availability of your website to your potential customers. If your site is down, then anyone who tries to access it during that time won’t be able to. That’s a 100% loss of potential sales. Furthermore, these people are likely to remember your site for not being available. After all, the human brain recalls negative experiences better than positive ones. Too much downtime can also kill your search rankings, especially on Google. Keep in mind that Google accounts for 96.33% of Ireland’s search market share. If the search engine sees your site is always down, it’ll rank you lower. In fact, it may even remove your site completely from the index after a few days of downtime! Even if it finally goes back online, Google may still flag it as unreliable. That’ll make it more difficult for you to secure better site rankings. Some web hosts claim they cater to Irish businesses, but their office hours say otherwise. It won’t do your business much good if customer or tech support is on a different time zone! What if your site experiences downtime and you can’t get help because the support team is 12 hours behind? So, choose an Ireland web hosting company that offers support within your local time zone. Better yet, go with a host that provides 24-hour customer and tech support seven days a week. Also, note that Irish web hosting companies have local people on their team. This means they speak your language, including local terms and colloquial phrases. Remember: Every minute your site is down means losing all customers who try to access it. So, you need to get your website up and running again with as little downtime as possible. You can reduce downtime risks by ensuring your web host is within your time zone. Not every website can afford the almost-unlimited bandwidth and features of dedicated servers. But you also don’t want your site on a shared host, since that means a greater risk of downtime and security issues. For most SMEs, a virtual private server is more than enough for their hosting needs. A VPS gives you more disk and storage space, RAM, and computing power than shared hosting. You also don’t have to worry about privacy concerns, since you won’t be sharing a single host with other sites. This greater bandwidth, power, and storage contribute to a much faster website performance. Again, the faster your site and pages load, the happier your customers (and Google) will be. That then translates to higher conversions and search rankings. That said, stick to an Ireland web hosting service that offers various VPS plans. This can ensure you’re getting enough bandwidth, storage space, and data transfer capacity. Flexible hosting packages also help you stay within budget, since you only have to pay for what you need. If you’re only about to launch a website, chances are, you don’t have a domain name yet. Domain names are different from web hosts, but the best hosting companies can help you create one. They also offer domain name registration, which ensures domain name ownership. Before you register your domain though, consider a top-level, Irish-centric domain like .ie. With this, you’ll have the “.ie” as your domain name’s suffix instead of the more general .com or .net. A .ie TLD is better for local branding, as site visitors will know you’re an Irish business right away. Also, consider going with an Irish web host offering search engine optimization services. You need SEO to get good organic rankings online, especially if you’re catering to a local market. Your website will be lost in a sea of websites if your SEO doesn’t have a local intent. Consider this: Over 80% of smartphone shoppers search using the keywords “near me”. Also this: 50% of local mobile shoppers visit stores the same day they did their online search. There’s no one else better to help you with your Irish SEO efforts than those who are from Ireland. They understand the local market better, from trends to preferences of Irish consumers. They can help you connect better to the people your website will serve — and that’s the Irish market. Without a website, you’ll have very limited ways to reach your target market. Although traditional marketing and advertising still work, you also need to go digital. Your website will serve as your online office or shop, so if it doesn’t exist, you’ll lose a lot of potential sales. That said, don’t be like 22% of businesses in Ireland that still doesn’t have an online presence. And be sure you choose an Irish hosting provider that meets everything we discussed in this post! That way, you get to work with the best one right off the bat, and you won’t have to switch hosting providers. Ready to get your domain name registered and your website up and running ASAP? Then be sure to check out our hosting plans! With our various offers, you’re sure to find one that meets all your hosting needs.